It's Sennheiser's version of a MicroDot. This apparently is the phantom power adapter. Can't tell you which mic it's supposed to work with, though, but I have seen it before. 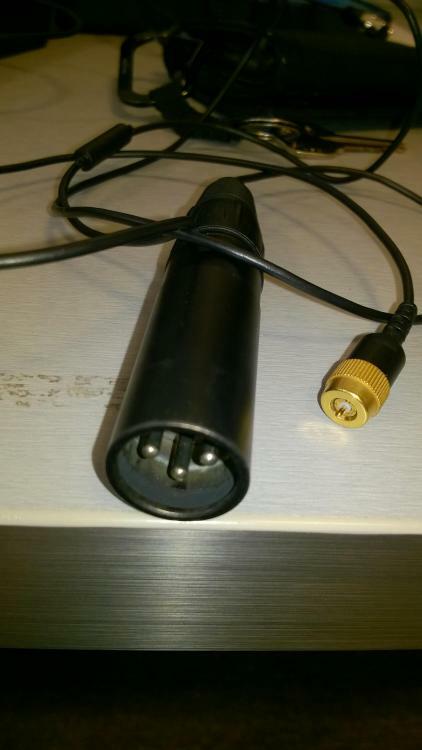 This is a cable for connecting a Sennheiser EK 2012 to a mixer or camera.